We at Clean It Right strive to provide the best and most prompt services possible. 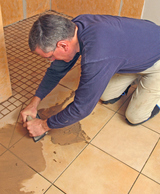 We offer quality tile cleaning, vinyl tile cleaning, new coatings and much more services. Everyone can clean, but we clean it right! Don't hesitate to contact us!